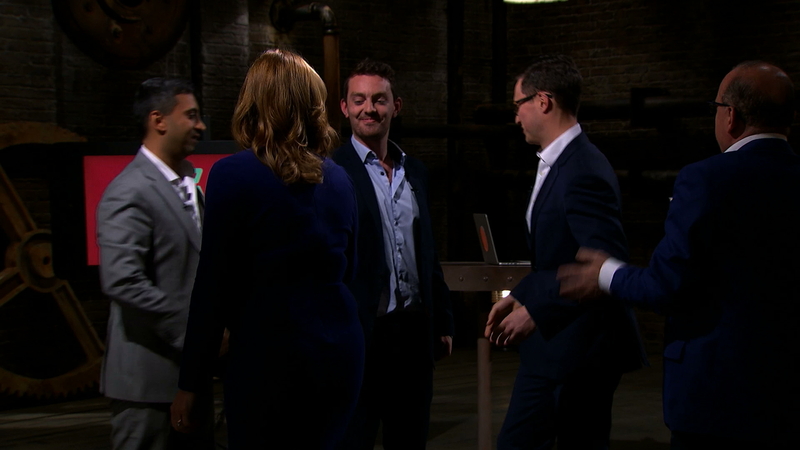 The first episode of series 15 of Dragons’ Den sees the introduction of two new Dragons. Avid readers will have already read about the two very experienced entrepreneurs (the 15th and 16th to join the series) in last week’s blog. Jenny Campbell, a self-made cash point millionaire and Tej Lalvani, the CEO of Vitabiotics - the largest vitamin company in the UK. As with everyone who watches an episode of Dragons Den, there is usually an entrepreneur that stands out for you. It may be that you can relate to a particular product or idea, so as a self-confessed shopaholic and bargain hunter, the online voucher idea really interested me. As a busy working mum it’s difficult to get out and spend a day bargain hunting, so I often find myself shopping online. Like most, I want an online service that is quick and convenient. If there are too many barriers in the process, I leave without purchasing. 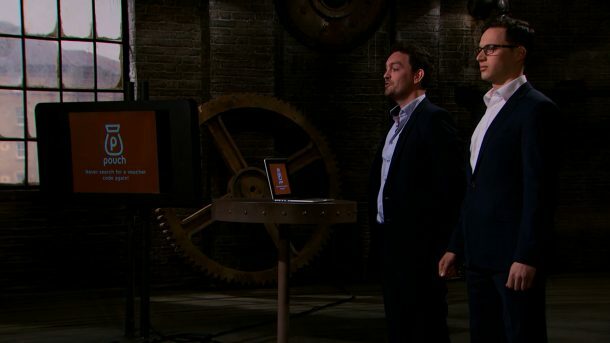 Entrepreneurs Ben Corrigan and Jonny Plein, owners of Pouch, have identified this problem with voucher codes online and the Dragons obviously saw the potential as they debated over investment opportunities. There were suggestions during the programme that the idea had been done before. It’s not possible to protect a business idea in the UK so establishing a strong brand will help you become market leaders. Luckily, Ben and Jonny had already thought of protecting their brand and registered their trade mark at the IPO in 2016 in class 35, which covers retail services and advertising. A trade mark protects your brand in the UK for the goods and services that you identify on your application. You cannot add extra classes at a later date (a new application is required) so it’s good to think about where the business will be in the next 2 years. You can find out more about classifications of trade marks by reading our online guide. Is there anything else Ben and Jonny can do in terms of protection? The website and software will have protection through copyright. It’s important to know that if you enlist a third party designer to create things for your business, the copyright ownership automatically belongs to the creator unless there are the right agreements in place to state otherwise. Hopefully Ben and Jonny know this but I’m sure the Dragons will point them towards a reputable IP professional for some solid advice. Developing your own understanding of IP is a great place to start and our IP Equip learning tool will get you on your way. It’s a free, interactive online learning tool that will help you identify any assets in your business that may be protected by IP rights. I’m really pleased that Ben and Jonny managed to secure a strong investment during their time in the Den. Next time I’m shopping online, I shall be mindful of Pouch and take advantage of the service they are providing, especially if it is going to save time and money. After all, there’s only 126 days to Christmas! I was saddened by this episode. Their proposed model for discounting sounded like price discrimination based on demographic points, like age and gender. I hope and believe this would be illegal. Then I checked how their app works and, well, https://youtu.be/VnlG9EO8Fps it sends back to their servers every website users visit. Why do this and put users at risk? It's unnecessary. Given the Equifax news, I'm hoping this week people realised they need to be careful of who gets their data. I've asked the ICO and BBC to look into this. I have also tried to contact Pouch. Please let readers know that this company isn't as good looking as it seems. I set this up on my Macbook yesterday and today I was unable to scroll any shopping websites. I thought almost immediately that the Pouch browser extension might be the culprit but spent the entire afternoon trying to get rid of it. Eventually, as soon as I did, 'Geromimo!' I could scroll again!!! Beware!!!! but is 'pouch' a name worthy of a trademark? There are many alternative, and some would say better, names for what they offer. Their only hope is for first user advantage... and to widen their platform abilities. Who on earth comes up with a shopping discount idea that is only available on a desktop computer using chrome or safari? Ouch!! Vast majority of impulse purchases are made on mobile. Come back when you have a working mobile app. Lucky escape Peter Jones, although I suspect you will launch a competitor on a mobile app.